This post is about three very important factors that one needs to know when filing for Hayward automobile accident claim. It is imperative that one follows these instructions in order to get fare compensation from insurance companies. The first very important factor is about you submitting a police report together with the rest of your paperwork. A police report is a legal document that proves that car accident happened at the certain place and the certain time and it was not your fault. Police report is usually ready with 10 business days from the time of the accident and can be picked up in a Hayward Police Station for a minimal fee or sometimes even for free. Police report is a very important document when it comes down to settlement. Third party insurance can not deny the liability regarding the injuries and compensation for car repairs. The second very important factor is that you have to see your Hayward local chiropractor or any other medical care professional of your choice who is specializing in automobile accident rehabilitation and documentation. Even if the damage to the vehicle was very minimal it is important to get yourself checked, thus avoiding possibility of pain in the future and aggravation. If you wait for too long to get a treatment insurance company might deny to pay for medical bills at all later on. They will claim that the current pain that you have is a result from a different injury. Usually patients in my clinic experiencing the following symptoms after the car accident: neck, mid-back, lower-back, shoulder and ribs pain, as well as headaches and difficulty sleeping. The third factor that you must submit your claim as soon as you finish your Hayward chiropractic rehabilitation. Statue of limitations in a State of California is 2 years from the time of the accident and you want to settle your case within that period of time. Many insurance adjusters will postpone the settlement for as long as they can. When the time runs out they will force you to settle for lesser amount of money. 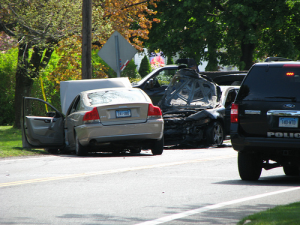 Hayward Car Accident Lawyers or Hayward Personal Injury Attorneys are the ones who specialize in these type of cases. If you want to save yourself time and save yourself from dealing with insurance adjusters it would be a great idea to hire Hayward Car Accident Lawyer for your Personal Injury. If you need a great Car Accident Lawyer in or around Hayward, CA feel free to CONTACT us and we will provide you a name a very reputable attorney. If you would like to have rehabilitation after your Automobile Accident in one of our Hayward Chiropractic Clinic please give us a call and we will schedule an appointment for you the same day. Very nice information, if followed properly you can file a powerful accident claim, documentation is all that matters in court cases, a little mistake can make you lose a lot.